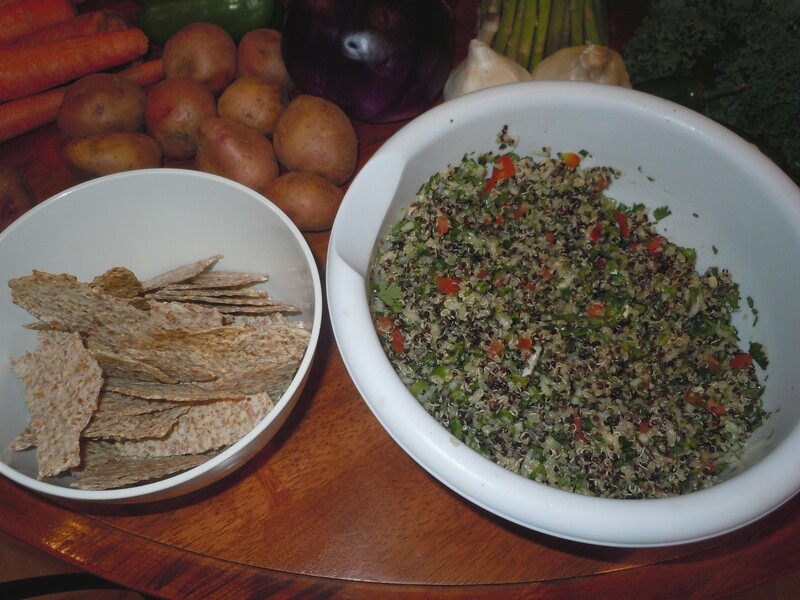 There are many great online recipes for tabouleh made with quinoa. Quinoa is your alkaline substitute for cous cous, and it is an excellent source for protein! The power-food of the Inca, adding quinoa to your diet is something I highly recommend. Click here for the tabouleh recipe pictured. I made the chips out of sprouted grain tortillas wraps, toasted until crisp, and broken into pieces. Posted in Appetizers, Boxed Lunch, Side items, Snacks. 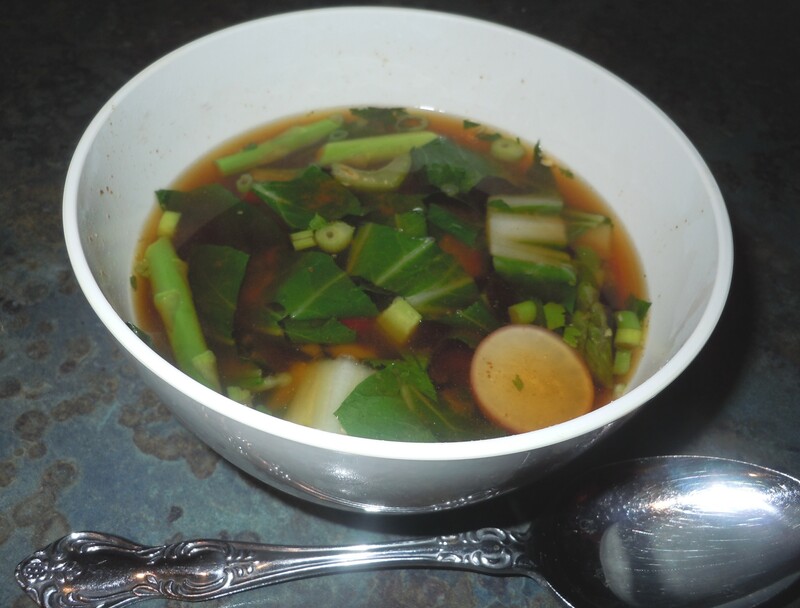 Miso soup is a staple in Japan, and a major part of the macrobiotic diet, a diet that has tremendous healing abilities. Not only is this easy enough for kids to make, it is also packed with nutrition! 1. Bring water to a boil in a tea pot or sauce pan. Pour hot water into bowls with miso soup mix. Stir. 2. Add a handful of chopped and diced vegatables, enjoy. Note: To make this a boxed lunch, bring your package of miso concentrate/powder with you, along with a baggie full of pre-chopped, lightly steamed (optional) vegetables. As long as you can find hot water at lunchtime, you can make this soup easily. And make sure you bring a bowl! 1. Prepare dressing by whisking all ingredients together, set aside to let flavors blend. 2. Cook pasta, meanwhile prepare vegetables. When pasta is ready, drain and rinse and toss in a large bowl with the dressing. Let cool for just a few minutes until warm. 3. 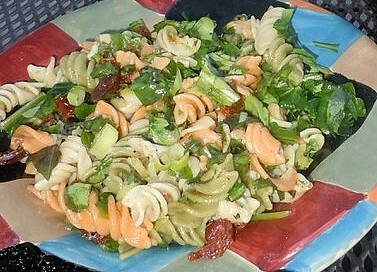 Toss pasta with vegetables, spinach, arugula, and season . Serve warm or at room temperature. This is excellent as part of a boxed lunch, or as a side item. Posted in Boxed Lunch, Pasta Dishes, Side items. Spinach/romaine salad tossed with 1/2 cup cooked quinoa. 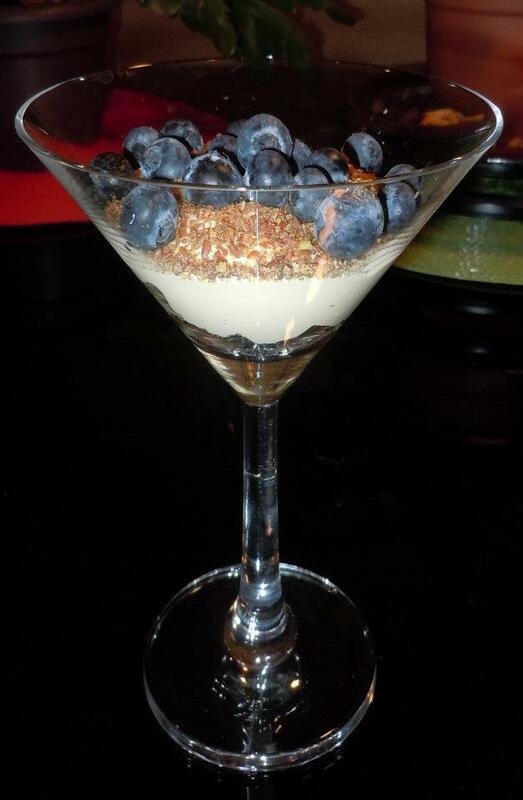 Sprinkle chia seeds and 1 tbsp ground flax seed, top with cumbled goat cheese. Add a few slices of cucumber. Serve with hummus, bell pepper and carrot wedges, and a bag of raw almonds and pumkin seeds. 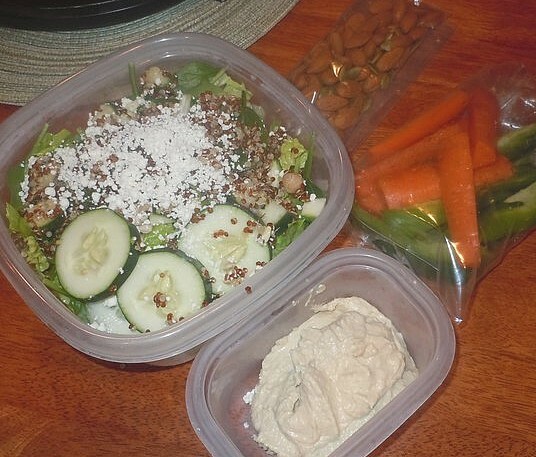 Use your favorite organic dressing for the salad. Posted in Boxed Lunch, Lunch, Snacks. Spinach salad w/t pumpkins seeds, sesame seeds, slivered almonds, chia seeds, goat cheese, organic dressing of your choice. 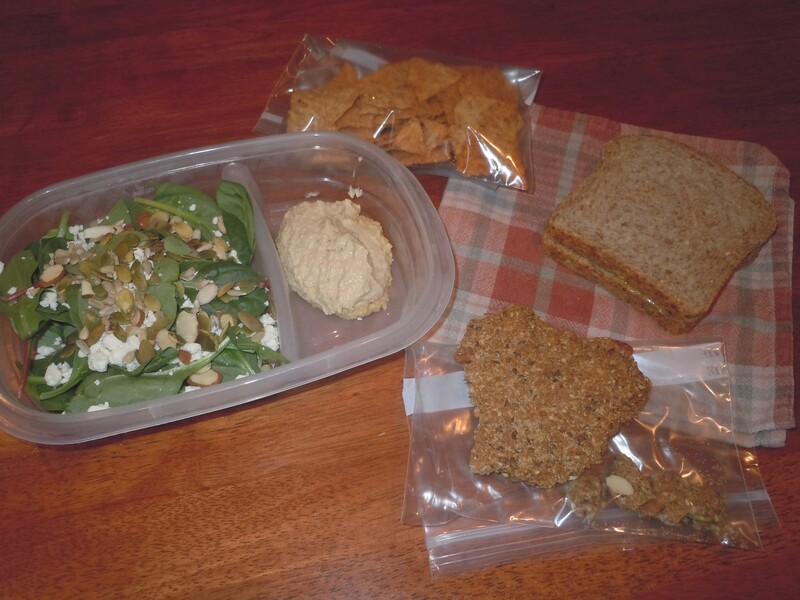 Hummus, sprouted grain tortillas that have been toasted and cracked into chip-sizes, almond butter/raw honey sandwich, granola sweetened with raw honey. Posted in Boxed Lunch, Lunch.